Prior to arriving in Chile we heard of both Valparaíso and Viña del Mar as two cities that we should visit on the coast. They are popular and easily reached, since they are only an 1.5 bus ride from Santiago. I wanted to get to the coast, since I had spent almost 6 weeks in Buenos Aires and Santiago and didn’t want anything remotely similar to a city. In my search of where to go I came across the small town of Reñaca about 10 minutes north of the center of Viña del Mar. 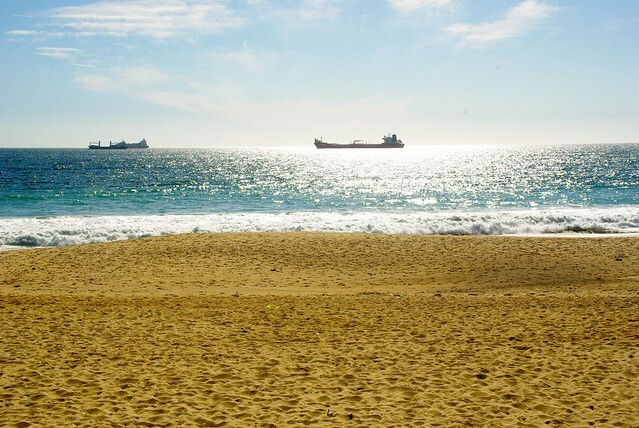 We wanted 5 days of easy, 5 days of quiet, and 5 days to sit and enjoy the beautiful Chilean beaches. Reñaca delivered! It takes about 2-3 minutes to walk across the center of the town. There are a handful of restaurants to choose from, and one large grocery when you want to stay in and cook. The helado is delicious, the streets are clean and it wasn’t overcrowded with tourists. The best part of our stay was our guesthouse, Posada BellaMare. 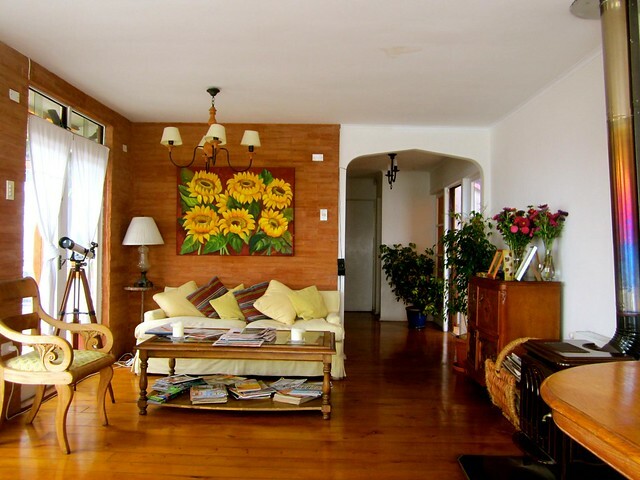 It’s located a short walk from the center of Reñaca on a hill overlooking the beautiful beach and ocean with views of Viña del Mar and Valparaíso. We fell asleep to the sounds of the waves. When we wanted to go into the city to see Viña del Mar, we walked. It was a scenic 30 minute walk into the center of Viña along the coast. We even picked up a new pup that walked with us for 3 miles. We couldn’t believe how comfortable these cities and towns were. It is definitely a liveable city and we can understand why so many expats settle in Chile. Viña del Mar and Reñaca are night and day different. 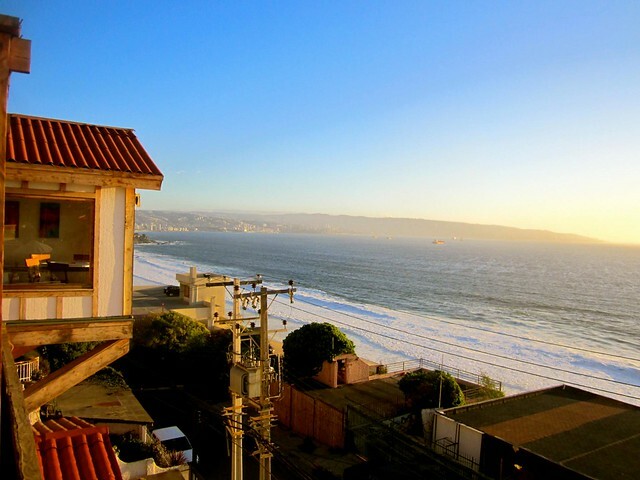 Viña is Chile’s fourth largest city with high rises and shopping malls. Reñaca is a small beach town where we easily walked to restaurants, ate outside and enjoyed slowing down for a few nights. 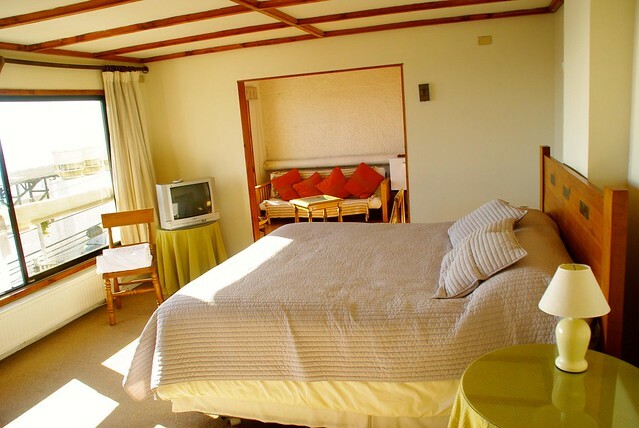 We enjoy finding different types of guesthouses along our trip, all serving their own purpose. Posada BellaMare was romantic, at least for Josh and I. 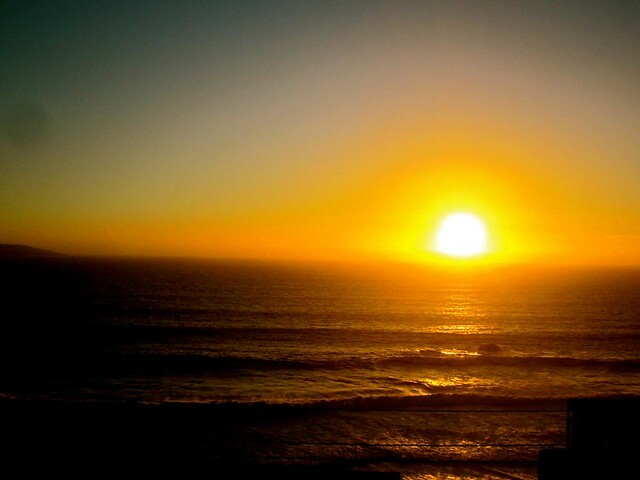 You can’t help but be in awe over the beautiful sunset every night. The owner, Peter, is one of the reasons we stayed here. He is specifically mentioned in numerous reviews of the property. We like to stay in small guesthouses where we get to know the owners and feel a bit more at home. Of course, Peter lived up to all the reviews. He picked us up at the bus station and helped us settle in. Every day he kept us informed about the different tours going on and what there was to see and do in the area. He was always willing to help out and make sure we had a great stay. 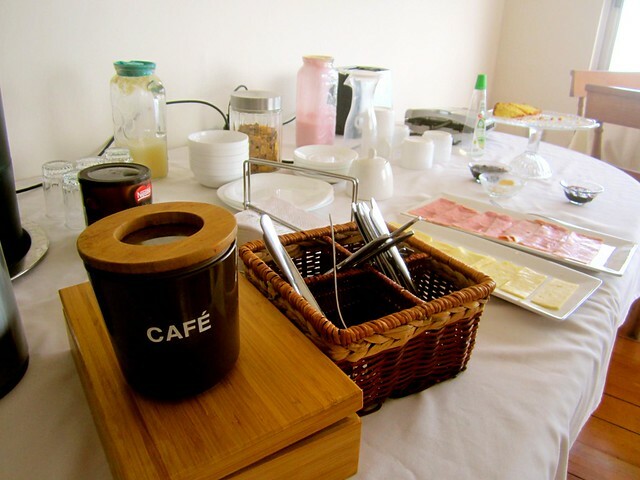 The guesthouse includes breakfast overlooking the ocean, and provides other food and beverages you can purchase during the day. They offer massages and tours of the surrounding area. You can take a bus from Santiago from the Pajaritos or Universidad de Santiago metro stations. 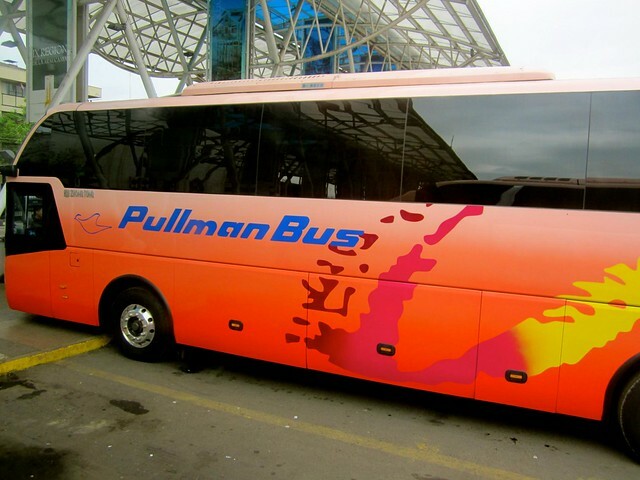 We used the Pullman bus company. It’s a quick 1.5 hour ride into the center of Viña del Mar. From there you can take a taxi or a bus (3 blocks west of the terminal in the plaza) up to Reñaca-Concon. 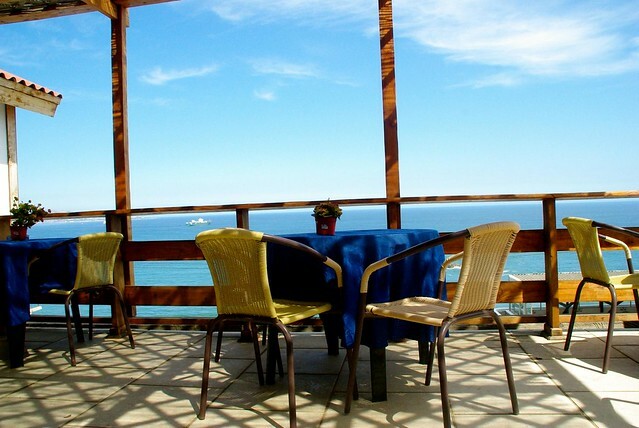 Posada BellaMare is a beautiful property with stunning views, comfortable rooms and great service. Check them out if you are headed to Viña del Mar and tell Peter we sent you! Disclosure: We received a discount from Posada BellaMare. As always, our opinions are our own. 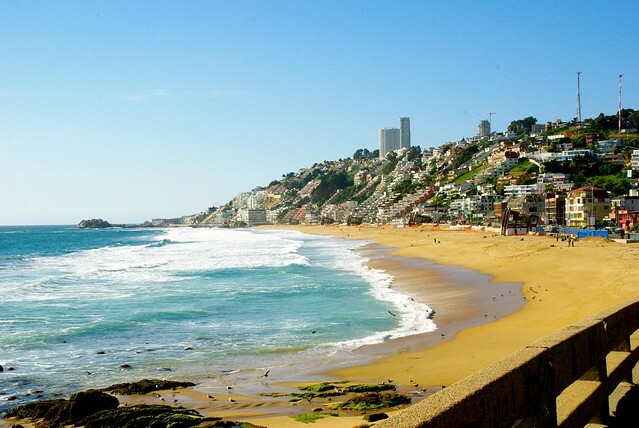 We only checked out Valparaiso while in Chile but your trip sounds amazing! I guess that just means we will have to go back! We really liked the area but we skipped Valpo, so we’re in the same boat!